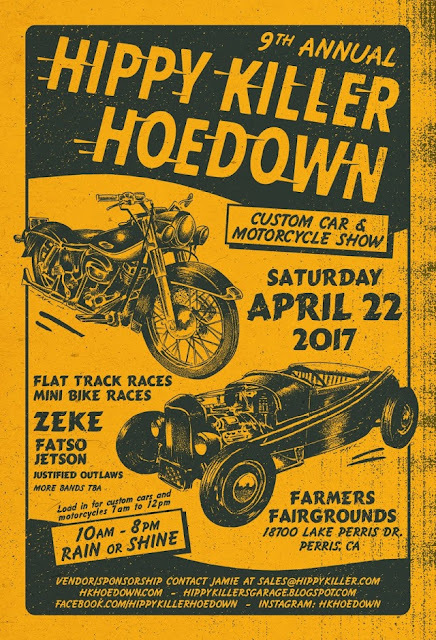 The date has been set for April 22, 2017 and we'll be taking over the Farmers Fairground once again. We are currently accepting sponsor and vendor support. Please contact Kutty and he'll get you taken care of. As always, thanks for supporting the show! Why do you tatooed A-holes want to kill hippies? What's the attitude towards M/Cs attendance? The blog was absolutely fantastic! Lot of information is helpful in some or the other way. Keep updating the blog, looking forward for more content...Great job, keep it up. Event Ticket printing in Malaysia. Impressed a lot. I really like your blog. Nice Blog, I could not resist commenting. Perfectly written! You can check the more about Event Ticket Printing in our website 50percent print. The blog was absolutely fantastic! Lot of information about Event Ticket is helpful in some or the other way. Keep updating the blog, looking forward for more content...Great job, keep it up.